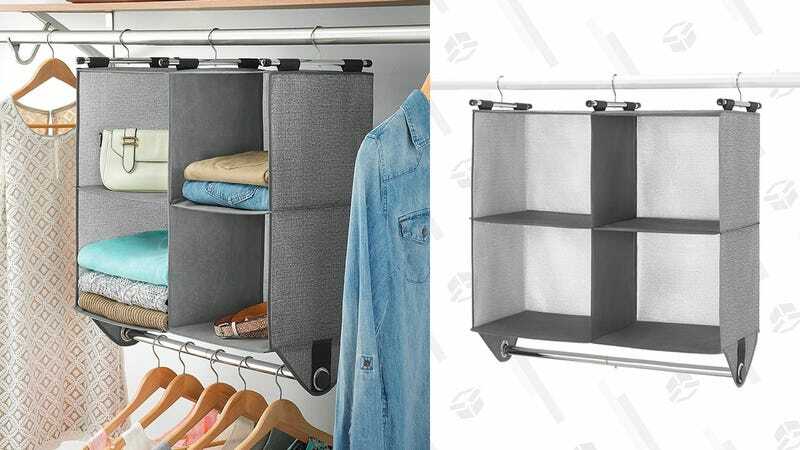 Make better use of your closet space with this $21 fabric shelf. 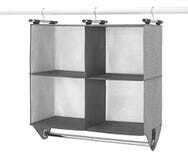 It has four compartments for folded items and a built-in rod on the bottom, so you’ll still have space to hang stuff. Today’s $21 is a good discount from the usual $26.